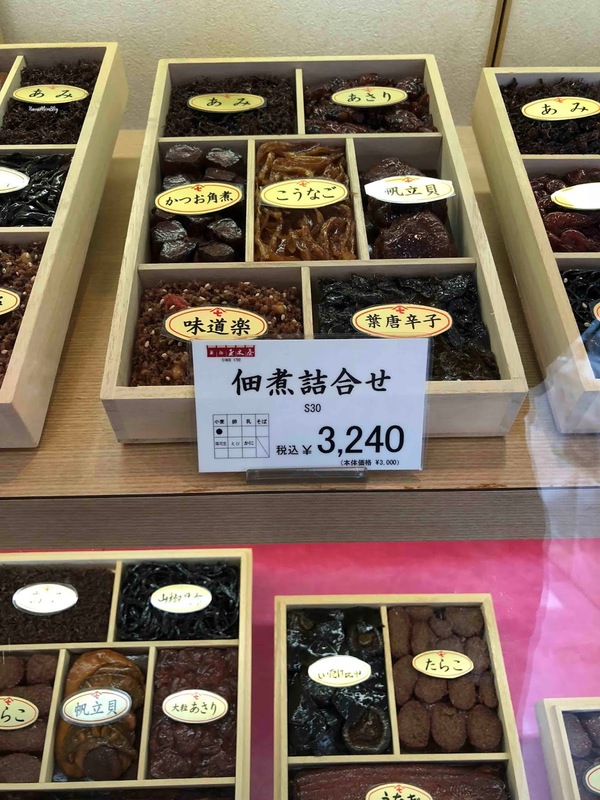 While walking through Ginza, we stumbled upon Shinbashi Tamakiya, a shop that specializes in ochazuke and furikake. 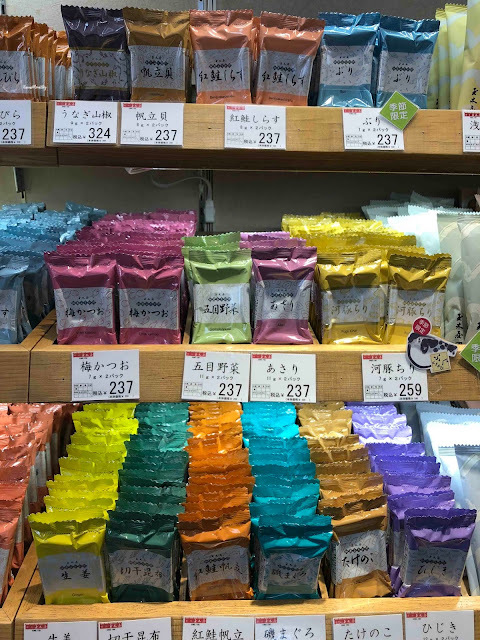 There were all sorts of different varieties of furikake. Hijiki, vegetable, scallop, kelp, shrimp, and so much more! It was hard to resist the colorful packages! I bought several packets of sakura furikake for omiyage. Note - be sure to let your recipient know what it is if he/she can't read Japanese - I gave some to a friend, she thought it was candy, opened it up at her desk, and made a mess!